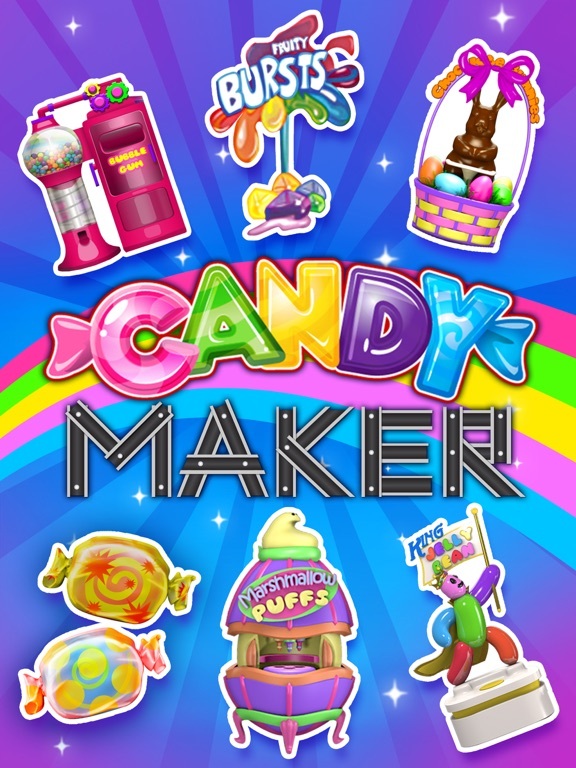 Now make 18 sweet & yummy, crazy candy. 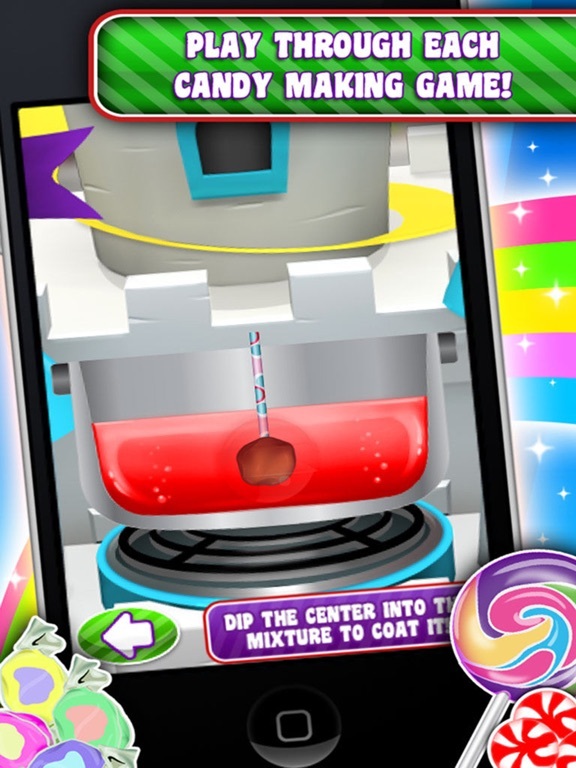 Be an awesome food chef - make every candy with fun machines, chocolate, bubble gum and more! Sour strips and fruity bursts just added. Sour Strips - A touch of tangy with the sweet of sugar! Make some now! So yummy and fun. Fruity Bursts - Choose a fruit snack flavor and fill it put with juice! Don't let it burst! 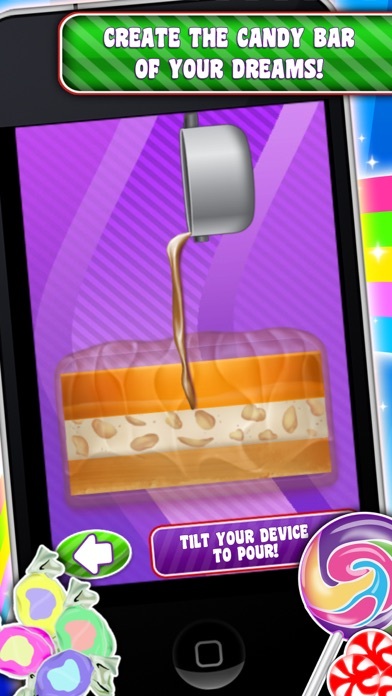 Candy Bars - Add layer after layer of goodness such as chocolate, peanuts, toffee, crunchy almonds and more. Delicious! 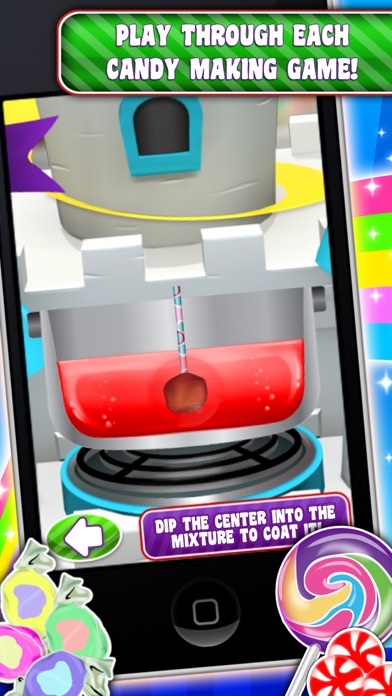 Bubble Gum - mix up a batch of your favorite flavor of gum, chew it and blow bubbles, bigger and bigger until they pop! Gummies - Pick a flavor and create gummies in your favorite shapes...worms, fish, bears and many more! 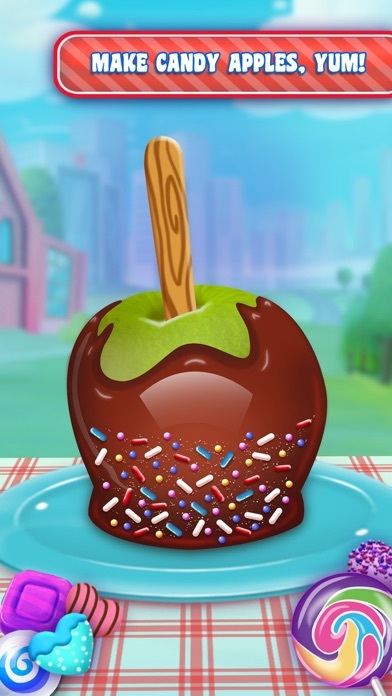 Lollipops - mix up candy and pick a stick to create the lollipop of your dreams! 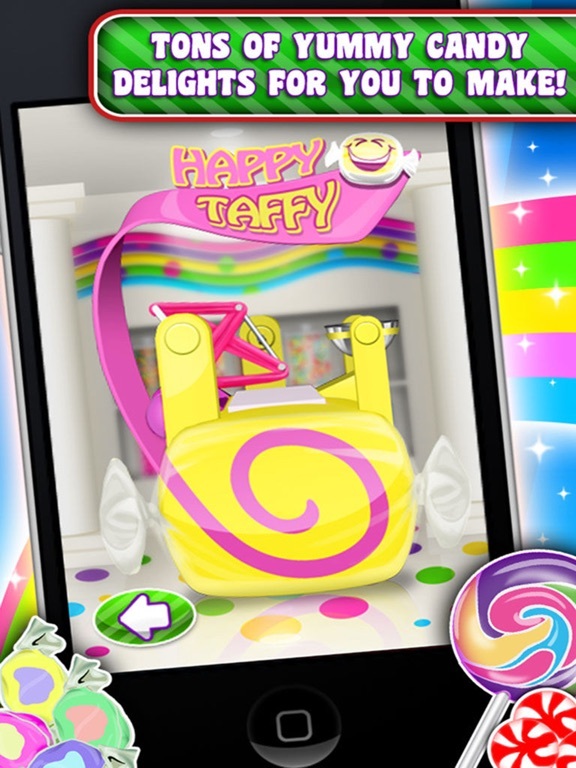 Don’t forget about all of these other fun candy machines -- Hearts, Chocolates, Candy Canes, Candy Corns, and more! Sunstorm is the pioneer of the popular "Maker" and "Sunnyville" series of games. Founded in 2009, Sunstorm provides creative and fun experiences for kids and parents to enjoy together. Sunstorm is a subsidiary of TabTale, a leading, global creator of innovative games, interactive books and educational apps. 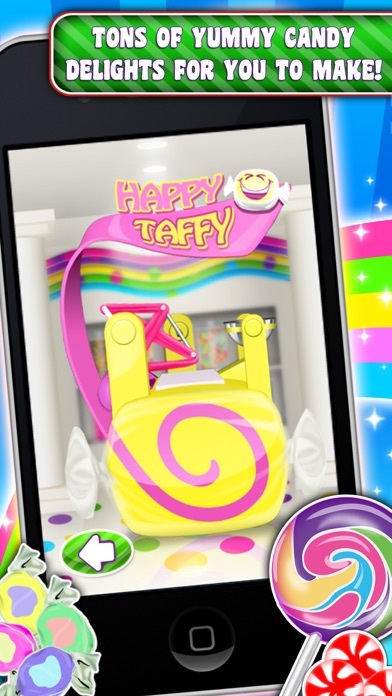 Bug fixes and great tasting candy! * Delicious chocolate bunnies and rabbits! 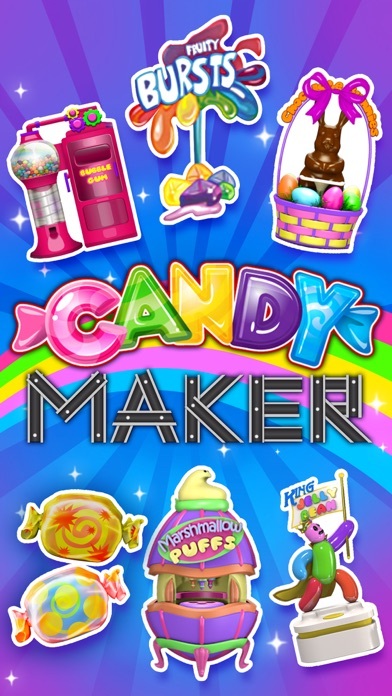 -Make Candy Hearts with custom messages to your sweetheart! 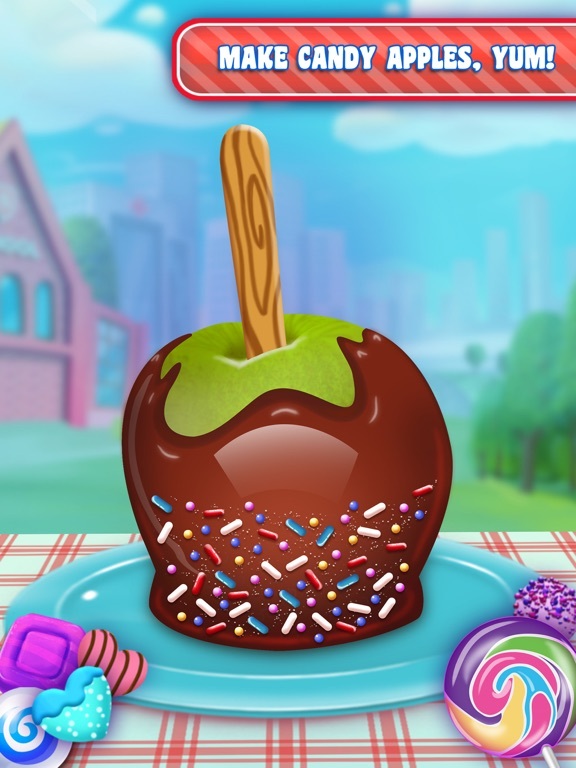 -Create Chocolate Candies of all shapes and flavors! 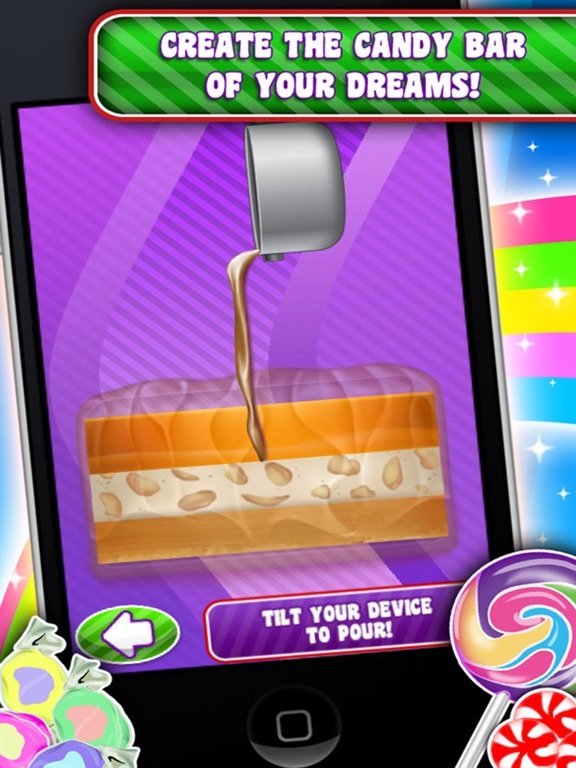 New COINs allow you to skip screens, use new random flavors, and much more! HUGE UPDATE! including HALLOWEEN CANDY! Jaw Breakers! - layer over layer of flavors! Fizzy Pop Candy! - they pop in your mouth! Candy Coated Candies - A soft center with candy on the outside! AND Candy Corn! Just in time for Halloween! !